While not all new this week, the folks at CFD Online have added several discussion forums recently. CFD Freelancers – If you’re looking for short-term help on a CFD project here’s where you’d post your requirements and get in touch with freelancers. Autodesk Simulation CFD – Here’s the forum to ask and answer questions about Autodesk’s CFD simulation software (formerly known as CFdesign). AVL Fire – Another new forum dedicated to the CFD software from AVL List GmbH. Visualization and Post-Processing – Opened several weeks ago, there are now forums dedicated to Avizo Wind, EnSight, FieldView, ParaView, and Tecplot. You’ll notice, however, that there aren’t any forums dedicated to Meshing and Pre-Processing. Meshing Q&A is dispersed throughout the Main forum and the solver-specific forums. Do you think CFD Online should open dedicated meshing forums? Example of visualization using the unwrap transform in STAR-CCM+ v7.04. Image from CD-adapco. The new release of STAR-CCM+ v7.04 from CD-adapco promises advances on three fronts: performing simulations faster, producing more accurate results, and more effectively communicating simulation results. Specific features included in the new release are a 4x increase in mesh morphing speed, the ability to handle multi-part solid models, automatic computation of solar heating loads, the ability to create sweep and overset meshes, new film and granular flow models, new unwrap transformation for visualization, and a new line interval convolution plot. 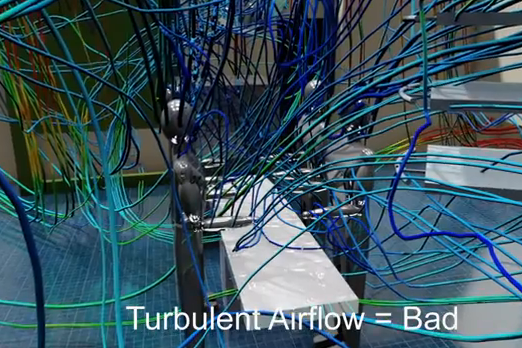 Turbulent Airflow = Bad, a screen capture from the Autodesk/Huntair video. 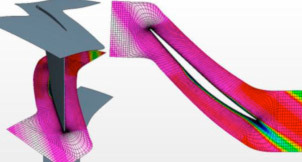 HUNTAIR used Autodesk Simulation CFD in the development of their specialized HVAC device for operating rooms. CRAFT Tech is looking to hire someone with applied CFD experience, including mesh generation experience with either Pointwise or Gridgen. The New York Power Authority will be using FLOW-3D to simulate water flows at various facilities including the Niagara Power Project. Here’s a video demonstration of fluid analysis using SolidWorks. Azore Technologies will be providing their Azore CFD software for remote use on HPC servers from Sabalcore. Don Computing will sell and support Flow Science’s FLOW-3D in Australia, New Zealand, and Papua New Guinea. 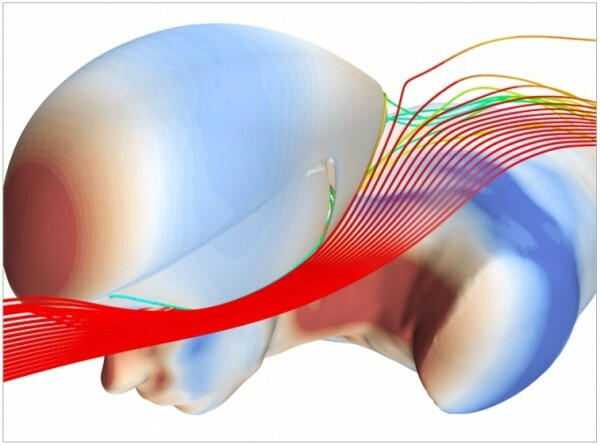 Streamlines over a bicycle rider and helmet. Image from cycling blog Red Kite Prayer. One photograph in the Mellefiori series. 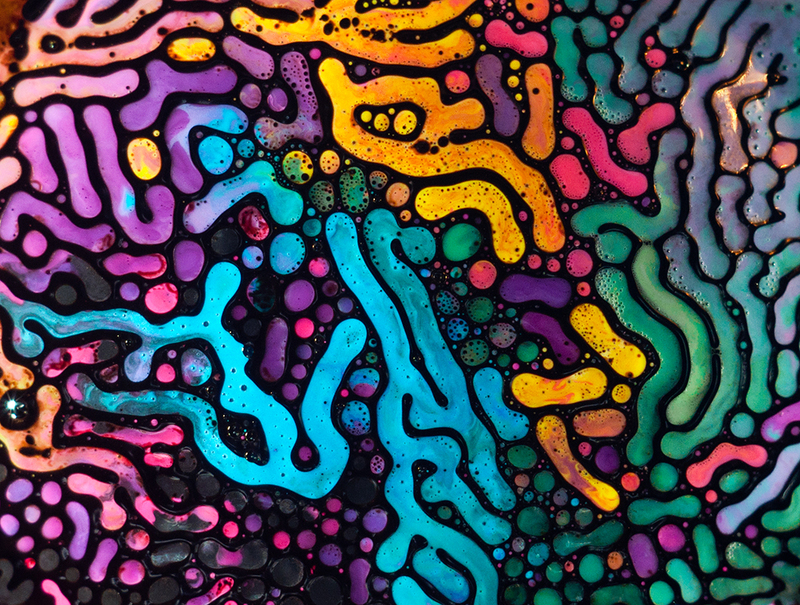 Image from Fabian Oefner. This entry was posted in Applications, News, Software and tagged Autodesk, Avizo, AVL Fire, Azore, CD-adapco, EnSight, FIeldView, FLOW-3D, jobs, ParaView, STAR-CCM+, Tecplot. Bookmark the permalink.